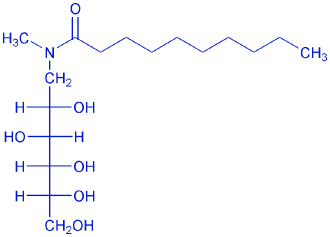 Following is the list of Vegatec pure quality carbohydrate based non ionic detergents used in biochemical applications such as: membrane protein solubilization, electrophoresis, antigens extraction, vaccines preparation, enzymology, electrophoresis, chromatography, crystallization and liposomes preparation. All prices are labelled in Euros (€), with VAT excluded. For larger quantities available, please contact us. Pure, non-ionic glucose based detergent useful for solubilization of membrane-bound proteins in their native state, Chemically defined Easily removed by dialysis. 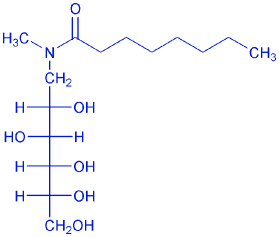 Water-soluble detergent with nondenaturing properties. Can be readily removed by dialysis. Useful reagent for membrane research. Non-ionic detergent that has been used to isolate membrane proteins from E. coli without inactivation. 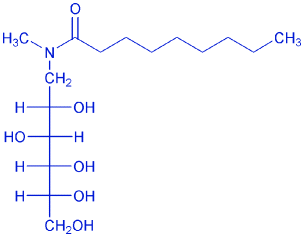 Stable in aqueous solution and easily removed by dialysis. Highly purified and intended for use as a detergent to solubilize membrane-bound proteins in their native state.